Alan Kowa is a South African speaker who is renowned for business speaking. With over 10 years experience at an amateur level, Alan became a professional speaker in 2011 and speaks to over 300,000 people a year. Alan’s talks are based on achievement and growing business. His talks are described as inspiring for change and shaping business for the 21st century. Speaking in two continents, his message is able to capture the attention of any audience and inspire them to buy into the vision of the employer, improving overall quality of work and getting the employees to work harder. The products offered vary and appeal to schools and business, the most popular being the sales products. The delivery is entertaining and informative, which helps the audience stay focused while feeling relaxed. TeamAK is a global brand that has appeal to businesses in different sectors. As the 21st century and global depression continue to be a tough challenge, more and more people are turning to TeamAK to help them find solutions to those roadblocks. 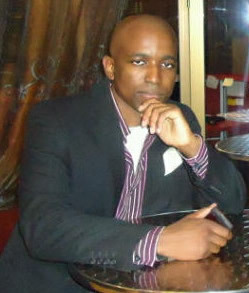 Profile Summary: Alan Kowa is a motivational speaker from South Africa with experience from speaking in two continents. Alan's company also offers consulting services, which compliments the speaking and steers your business in the right direction. The benefits of Alan's speaking include, among other things, getting the employee's to buy into the vision of the employer, improving the overall quality of work of the employee's and employee's working harder.